An increasing phenomenon in the world of Google is to be the answer. This is shown through increased search rankings for long, educational articles and the introduction of the answer box. 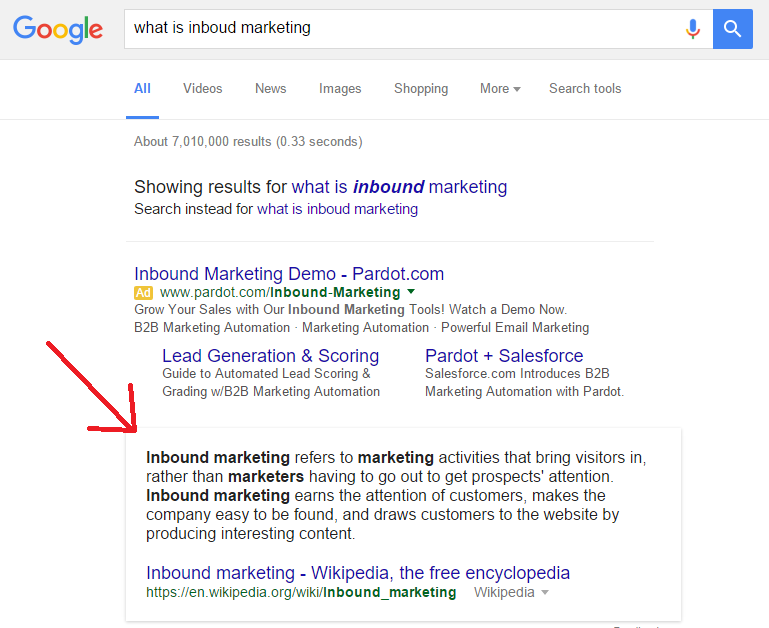 This change in strategy to optimize for the “Google Knowledge Graph” makes the “correct answer” the most important change in the digital marketing world for 2016. We conducted research in the Riverine, inc. offices, learned from other marketers’ experiences and have created this guide on optimizing for the Google Answer Box. Results will vary and may no longer show an answer box in our examples. What is the Google Answer Box? 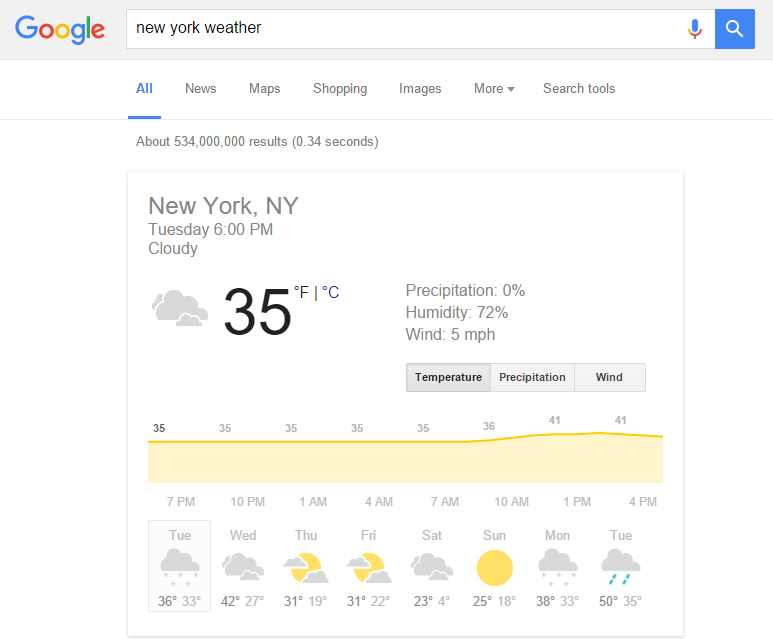 What is the Future of Google Answer Box? While checking SEO rankings for one of our clients we found a featured definition for the term ‘string algae’ – a common type of algae found in ponds and aquariums – has multiple variations on the SERP (search engine results page). We found that our blog posted by Nualgi Ponds, “How to Get Rid of String Algae in Your Pond (For Good! )” was creating a Google Answer Box along with other versions of answer related details. This #1 search ranking on mobile has pulled in the definition though the Google “answer box”, a quick answer based result for Google queries about specific subjects as they continue to “be the answer” rather than the middle man to answers. Naturally, we immediately wanted to experiment with the effectiveness of this answer box. Our hypothesis was that Google had upgraded its algorithm and is now crawling longer page content for thought leadership while using headers as guidelines. 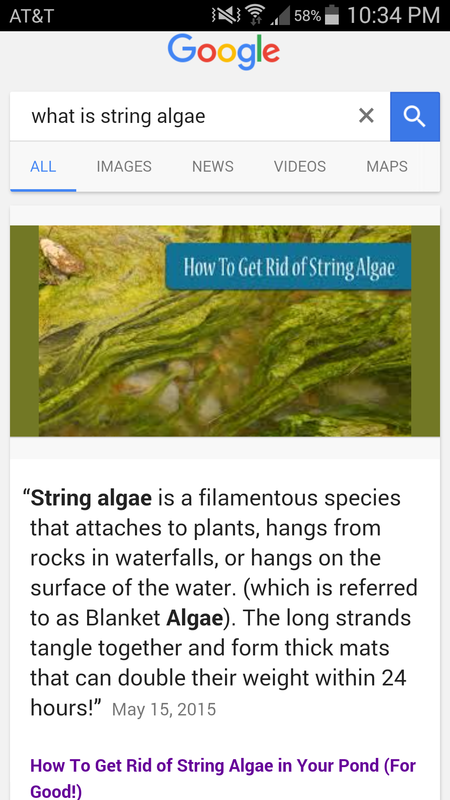 We searched some terms surrounding string algae to see if the answer box followed. 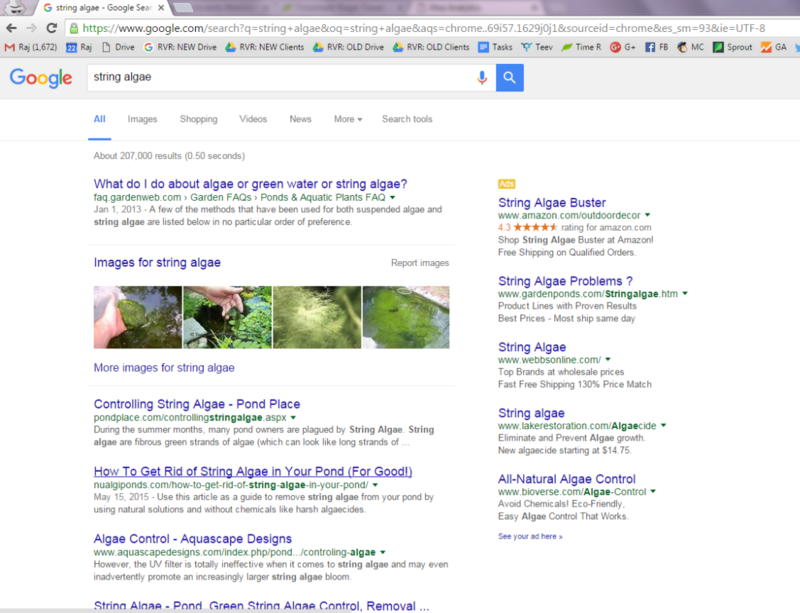 Why was there no answer box for ‘string algae’? We had to find out more. 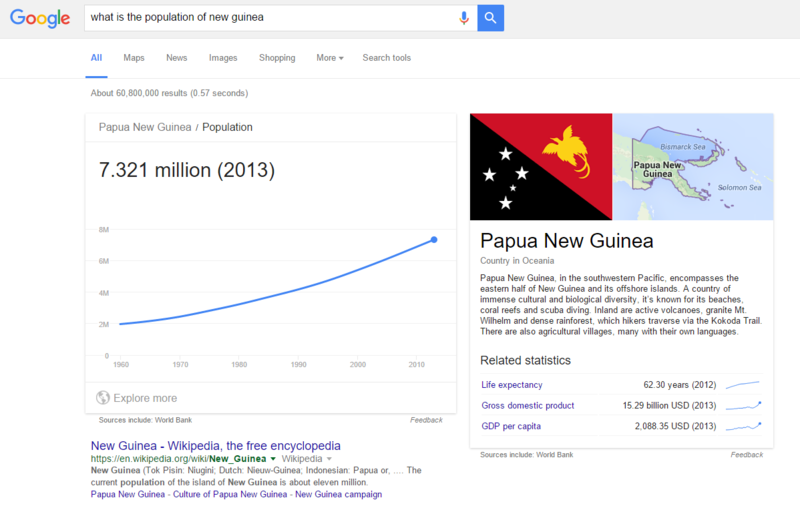 As usual, Google did not disappoint in our research to learn more about the topic. The Google answer box provides immediate answers to Google searchers and is defined as a search result built from a rich content answer generator that uses charts, text, lists, and maps from mostly 3rd party sources. Though it started as a minor feature of Google Search around the year 2004, the answer box has undergone recent algorithm changes that indicate movement towards becoming an omni-capable answer source. The answer box can take many forms – and in 2015 the number of rich results provided through this method has increased substantially. These results are drawn directly from websites that Google’s algorithm has declared trustworthy. More below on why these definitions might be featured. 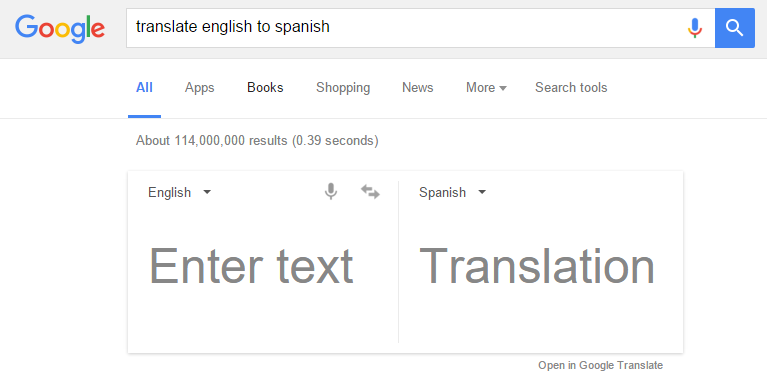 Google teams up with other reputable sources to provide the most accurate information possible in their answer boxes. In most cases, this information is automatically refresh-able. It’s worth mentioning that although the use of lists in answer boxes has been increasing, lists with ellipses at the end, e.g. “read more…” are decreasing. This fits with Google’s overall trend of providing short and accurate answers, with as little click through as possible to get the information directly from the SERP. What is the Future of the Google Answer Box? 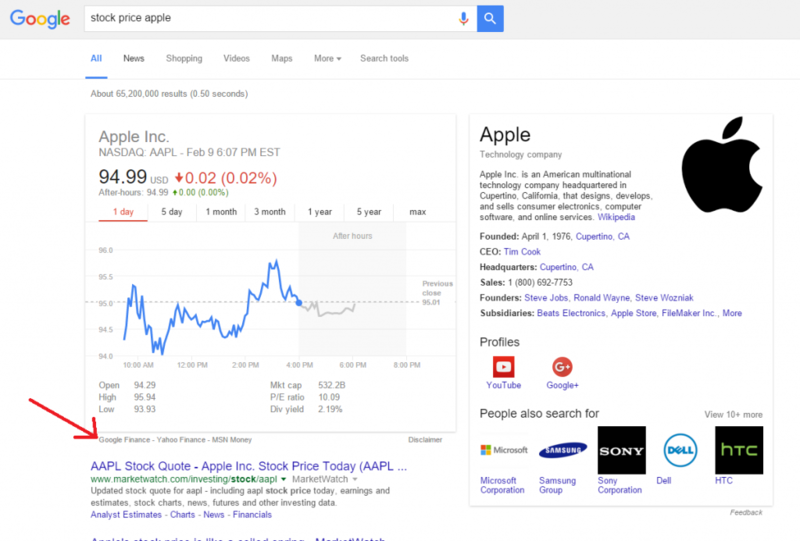 Where is Google trying to go with this result markup? How can I include my business, or my client’s business, in this trend? The most important element of the answer box that needs to be considered is that your website does not have to have a top page ranking in order to be featured. In fact, it appears that as long as your content is structured correctly (we cover this below), the best definition wins. For the site creators, this means more opportunity. For the user, this means the best answer in the fastest means possible. So, where are they going with the Google Answer Box? In our San Diego Marketing Agency Riverine, we’ve taken several trends into consideration and have come to the conclusion that this boost in the use of answer boxes is edging towards fulfilling the future needs of voice recognition users. People want to use their fingers less, retrieve bits of information as fast as possible, and always have the “correct” answer within arm’s reach. 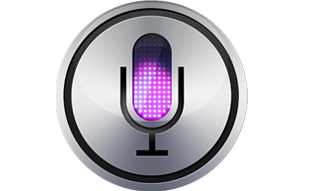 One study on the subject of voice recognition has suggested that the use of voice recognition will double in the next 5 years. What does that mean? Quick questions with quick answers, and happy customers talking to their phones every day. As a modern Randy Newman would say, “You’ve got a friend in Siri”. To benefit your business, take a shot at writing multiple knowledge based articles to act as thought leader on your respective subject. In order to be featured by Google’s “omni-answer”, you’ve got to optimize your information for the Google Knowledge Graph. Intent based searchers looking at your subject NEED your help answering questions. Working with Google’s requirements is the best way to quickly and easily help them find their answer. And if they appreciate the knowledge they will certainly spend more time learning from your inbound marketing strategy. Optimizing your content for organic search and ranking with an answer box involves using a combination of a structured Table of Contents, headers, and jump links that guide the Google crawlers to your rich content definition. 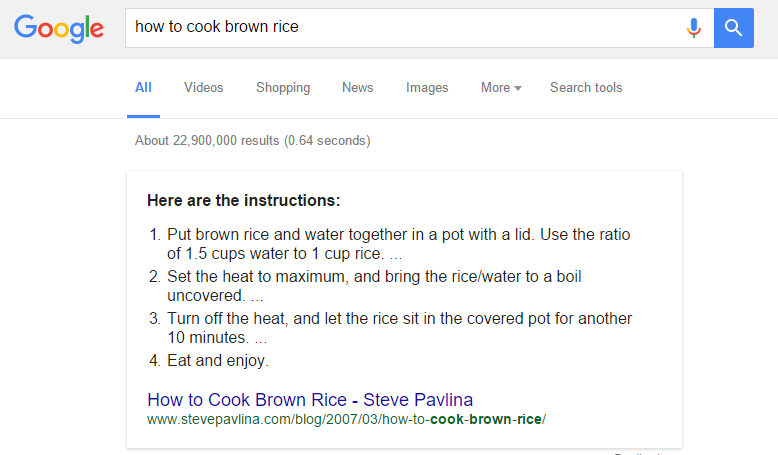 The domain and page authority also seem to plat a strong factor in when you are awarded the google answer box. Organize your information efficiently by utilizing a Table of Contents and effective H1, H2, and H3 header titles that directly relate to questions around the topic area. Place a sharp, concise, and rich answer to the desired question directly below the header of choice. Provide following information on the subject that shows that you are a knowledgeable leader on the subject. Create a strong backlink profile to improve page authority through social signals (Google Collections “Communities”) and partner referrals to your content. Shout-out to Jump Links: Jump links are known to make pages easy for Google crawlers to index and search for information on your page, especially if you are dealing with long-form content. Using jump-links to your definition will help Google organize our content and help a user quickly find the answer – which is always Google’s objective. Google is making a major push towards a complete omni-answer algorithm, and if you’re looking to stay on the edge of the digital marketing field, knowledge is the future. Serving people that are Googling on the run, especially with voice command, is the only way to stay at the top of the Google game. Be the best at providing the right answer, be the most knowledgeable, and prepare for Google’s algorithms to further add weight to the “correct” answer through the use of artificial intelligence.